American Airlines has diverted a flight carrying the president of Sony Online Entertainment following what may have been a bomb threat by a group of alleged hackers—the same group that has claimed responsibility for a series of outages across the PlayStation Network and other gaming services this weekend. The FBI is currently investigating the incident, an SOE representative told Kotaku today. This afternoon at around 1:30pm Eastern, the group Lizard Squad tweeted at American Airlines to say that a flight carrying John Smedley, president of SOE, the developer behind EverQuest Next among other games, had "explosives on-board." 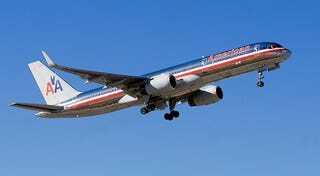 At around 3:00pm Eastern, Smedley tweeted that American Airlines had changed his flight's destination. "Something about security and our cargo," Smedley added. American Airlines did not immediately respond to requests for comment, but their website's flight tracker confirms that the airline diverted flight #362 this afternoon. Representatives for SOE also did not immediately respond to requests for comment. UPDATE (5:06pm): An SOE rep declined to comment but confirmed that the FBI is investigating the incident. This incident follows a prolonged PlayStation Network outage that Sony has blamed on a DDOS attack. "Like other major networks around the world, the PlayStation Network and Sony Entertainment Network have been impacted by an attempt to overwhelm our network with artificially high traffic," Sony's Sid Shuman wrote on the PlayStation Blog today. "Although this has impacted your ability to access our network and enjoy our services, no personal information has been accessed." The Lizard Squad group has also claimed responsibility for this PSN outage.